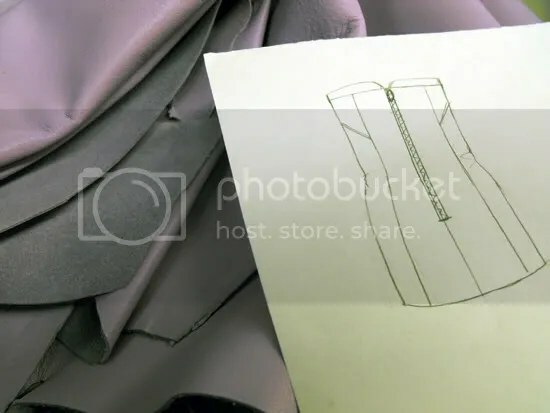 Fashion Design Project: Lilac Leather Skirt Progress! 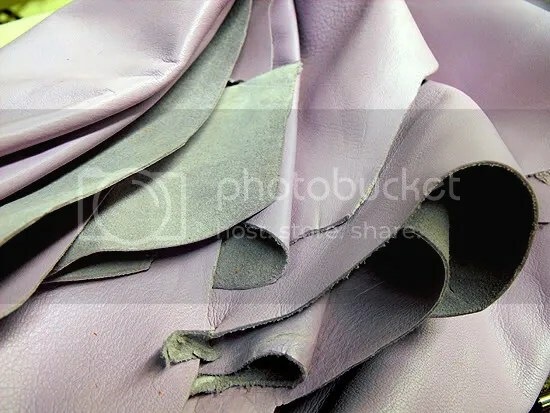 Leather design class was a drag for the past few weeks, but we finally have an exciting project! 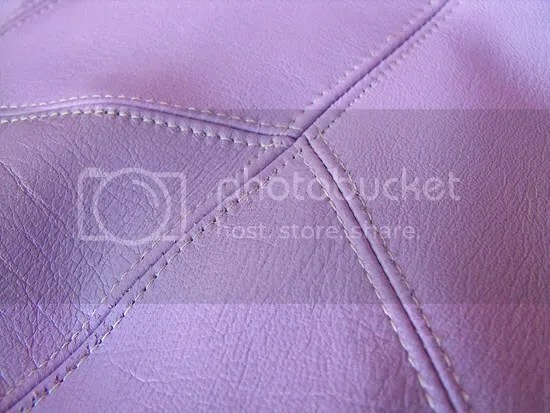 I went to an amazing shop called Global Leathers in the garment district yesterday and found this pretty shade of recycled leather in a bright electric lilac for my high-waisted shorts. Something about the color made me decide to change the design to a skirt an hour later. I finished almost the entire thing in one long haul, aside from the waist band, zipper, hem, and lining. Here’s the color in natural daylight. 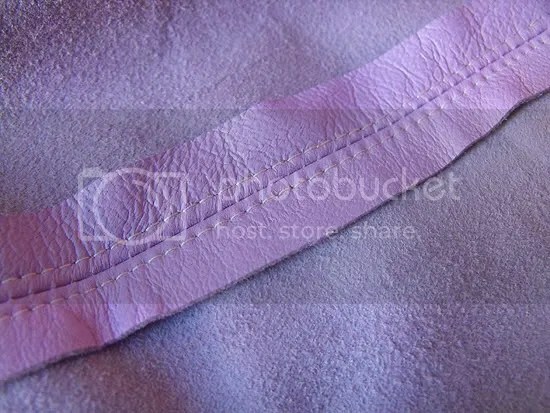 For my first time ever sewing leather, it’s not coming out too bad. Update! 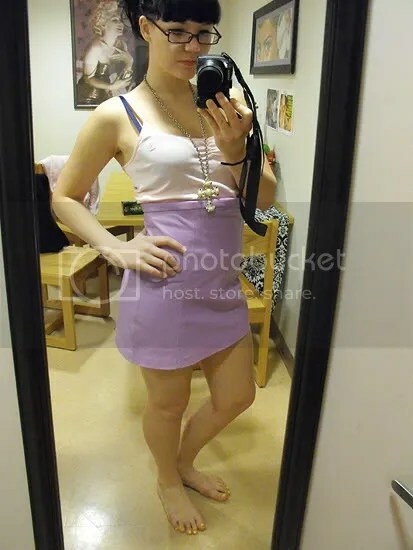 The skirt is really coming together—and it fits me like a glove! I think I’ll wear it out this weekend. I love love love this color.